Julie is best known for her semi-abstract interpretations of the Scottish landscape. Working mainly in the medium of oil, vibrant colour, strong shapes, and interesting surface texture are all hallmarks of her work. 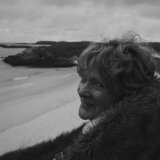 Born in Irvine, Ayrshire, Julie worked as a stained glass artist and practical art tutor at the University of Glasgow's Centre for Open Studies. In a change of direction, she attended classes at Glasgow School of Art, where she was tutored by the artist Conor Kelly. Since 2010 painting has become her main focus. The Scottish landscape is Julie's inspiration, from the gently rolling farmland around her Ayrshire home to the wild rugged edges of Orkney and the Outer Hebrides.